Mount Ngongotaha is a volcanic dome which watches over the city of Rotorua. It is also home to some rather impressive trees, including Tawa, Rimu, Rewarewa, Pukatea and Rata. 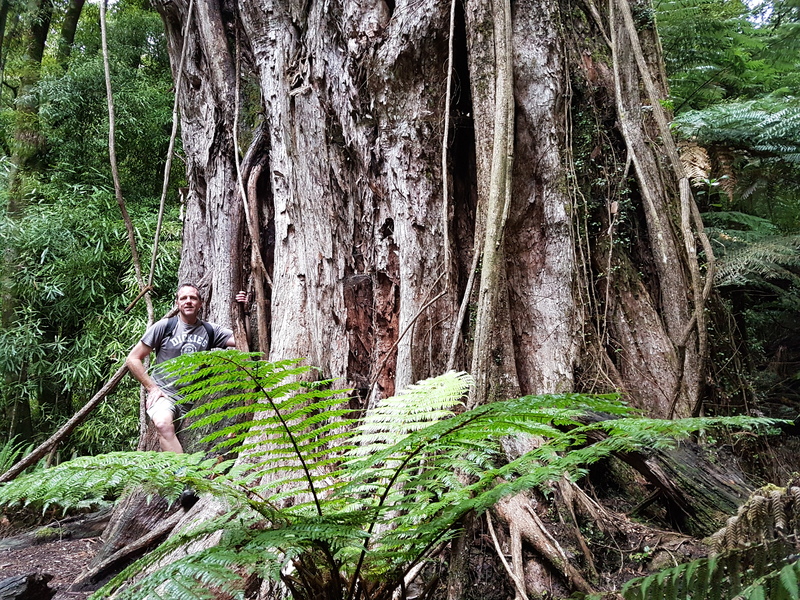 The only surviving northern Rata found on the mountain is particularly impressive at 40m tall with a 1.8m girth. The 3.2km circuit will take you approximately 1 hour to amble around and is punctuated with information boards that describe the area’s flora and fauna. The track starts from the Bonnington Reserve, located at the Rotorua end of Paradise valley road. By far Rotorua’s most popular tree walk – The Redwoods forest – is a favourite with the locals and a must-see attraction for any visitor. A range of exotic tree species mixed with native undergrowth make this the perfect place to visit, rain or shine. There are some fantastic examples of the Mamaku tree fern, as well as the Californian Coast Redwoods, which were planted in 1901. The largest of the Whakarewarewa redwoods is 72m tall with a 1.7m diameter, but they can grow to as tall as 110m, so be sure to visit again in 50 years. With 5,600 hectares of forest there is plenty to explore, either by foot, mountain bike or horseback. Head to the Redwoods Visitor Information Centre on Long Mile Road for more information. If you’re not content with keeping your feet on solid ground, there is also the elevated Treewalk for you to enjoy. This is the most extreme of Rotorua’s bush walks and is not recommended for the weak-of-knees. A 3Km lakeside stroll abruptly turns into a never-ending uphill scramble through native bush, with little more than the occasional ribbon tied to a tree to guide the way. Once you have fought your way to the hill top your efforts are duly rewarded with some of New Zealand’s finest Rata trees. The Phantom alone, weighing in at a whopping 14 metre girth, with a diameter of approximately 4.3 metres, makes it a worthwhile expedition. But the whole array of Ratas, including the impressive Cathedral, as well as the occasional spectacular lake view through the undergrowth, make this one of the most rewarding 6-7 hour hikes in the region. It is only recommended for experienced trampers and preparation is essential.